There’s a 9.4-ton Chinese space station falling from space without any kind of control since two years ago, and not even one authority knows for sure when or where it’s going to crash the Earth. The space agency from the country has just given simple estimations, but nothing certain. However, according to the last paper released Thursday by American experts, Tiangong-1 might land our planet in middle March. The Aerospace Corporation, a Californian federally funded research and development center, released the information to calm people. As one member named Andre Abraham said, the odds are “exceptionally tiny.” So try not to be afraid, the US team believes it’s not going to hurt anyone because it will probably land on water. Although the American team is trying to make people take this news easier, their ability to give a precise forecast is still limited. Just like the Chinese, they can only estimate the place and the day that Tiangong-1 is going to hit our planet. Nothing further. To know more about the landing, the experts have to consider many factors that are continually changing. For instance: the density of the atmosphere where it’s orbiting, the speed of the space station, its location, orientation, and other physical properties. If the scientists reached to predict the timing, on the other hand, they could only be able to know the zone of the atmosphere where the object would be entering. However, the exact location where it would be landing is an entirely different thing – which is, by the way, much harder. ”If you’re off by half an hour, you’re on the other side of the planet,” said Ted Muelhaupt, another member of the Aerospace team. 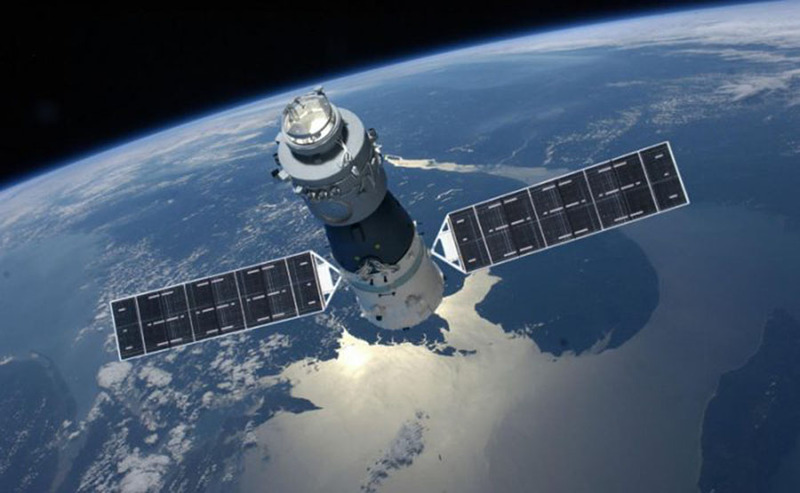 Tiangong-1 was launched in 2011 by the Asian country aiming to re-conquer space. Unfortunately, the complete opposite occurred. The “potential political symbol” – after being controlled by people on Earth, and being visited in 2012 by Lui Yang, the first Chinese female able to fly to space – started to give trouble to authorities in the country. On March 21, 2016, the Chinese Space Engineering Office announced that the Heavenly Palace had ended its services. However, months later, a series of rumors started by amateur satellite trackers were spread across the nation. This led officials to admit in September that Tiangong-1 was uncontrollably orbiting throughout space and that they estimated it was going to crash in the middle of 2017. Just in October 2017, authorities announced that the space station was going to land at the beginning of 2018, before April. Today, we have further information thanks to the American experts. The Chinese space agency is not the first one that has had to face this kind of mistakes. In 1979, The American lost control of a space station named Skylab. For that time, the scientists calculated at first that it was going to hit over the Pacific. But the object entered the atmosphere half-an-hour later than estimated and ended landing at the Australian desert. 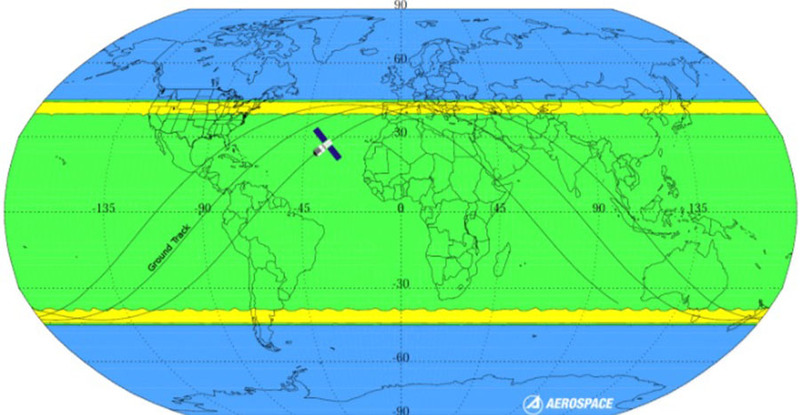 As the American researchers said, there are about two-thirds of Earth’s surface where Tiangong-1 will probably land. However, there are only two bands that encircle the globe parallel to the Equator which they considered as more probable. From both bands, the region closer to the Northern Hemisphere covers more land than the other. The first one includes parts of the United States, Europe, and Asia. But the second one, closer to the Northern Hemisphere, covers more water than anything, although there are some portions of Chile, Argentina, Tasmania and New Zealand. Fortunately, the experts still believe that the odds to hit land and hurt people are extremely low. “The probability that a specific person (i.e., you) will be struck by Tiangong 1 debris is about one million times smaller than the odds of winning the Powerball jackpot,” Aerospace noted in the analysis. Uncontrolled space stations are not the only objects that enter our planet. A significant part of the world population doesn’t notice the number of tiny space rocks that yearly pass through Earth’s atmosphere. As the Aerospace informed, thousands of them have re-entered our planet over the past half-century. Roger Thompson, another member of the Aerospace that worked in the analysis, told The New York Times that the most of these objects just “burn up” or “break apart” after they enter the atmosphere. In November 2017, the Chinese informed that their “political symbol” was approximately 290 km high, falling to Earth about 10 km per month. Tiangong 1 hasn’t been landed by humans since more than four years ago. What Is Link Building And Why Does Your Company Need it? April 20, 2019, No Comments on What Is Link Building And Why Does Your Company Need it? © 2019 Copyright Pulse Headlines. All Rights Reserved.